In the past few days there have been rumours about law implementations in order to track down users by their IP addresses. RIPE NCC (The Réseaux IP Européens Network Coordination Centre) has promised to give out IP addresses in Europe, but the same topic is vital in the United States also, where ISPs are forced more and more to hand out data. If this is true, and the online file-sharing world is in danger, what should its users do? Beginning with RIPE, it is a non-profit company that deals with the infrastructure of the world wide web and gives support to it. 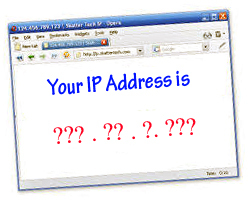 Basically, they manage IPv4 and IPv6 addresses which are used by ISPs. The organization has admitted that they have been asked to identify people behind IPs, which they are capabale to do. Copyright industry is in favor of surveillance to get rid of privacy and anonymity once and for all. This is simple to understand. Their main interest is the copyright monopoly. For example, if they wanted to sue a totally average family, they should have the family’s IP address and its activity log, and all the materials to justify the IP’s connection to this family. This could only happen when ISPs start giving out the logs of households. In this situation the ISPs probably wouldn’t care to keep the logs in the first place, if it wouldn’t be mandatory by the law. Now this has actually happened already in many countries. Another reason for people to be wise and not to get under surveillance. Not using the net is not an option, doing it wisely is a must. Lawsuits for uploading materials online is not a new practice in US. Less than a month ago we heard about major book publishers who were stating that besides BitTorrent users, Usenet uploaders should also be monitored as the world’s largest publishers were taking legal action against some individuals who shared stuff on the web. Two uploaders are being hunted at that time and the organizations’ goal is to get all the information about these people to start a further court case. So what is this all about? How should we use the internet in order not to be scared at home thinking someone would want to catch you? These stories are not to get you frightened to use the internet, but much the reverse, to get you use it correctly. The best practice is not to do anything illegal, but often industries are finding infringing activity even in pure innocent act, like sending something to your friend online. The most important is to have up-to-date software for doing things that someone could want to watch. As for communication, there is also encryption choices for sharing files on the net without leaving track. If sharing files is your everyday activity, giving a glimpse to our homepage is one of the solutions to find more information on the topic.